Platinum Mortgage Securities delivers short-term, property-secured finance to borrowers that require funding for business or investment purposes; and great opportunities to wholesale investors and institutions looking to maximise investment returns through property-secured lending. Since opening for business in 2012, our investors have funded close to AUD$160 million in loans made to borrowers to finance property and business projects. Most importantly, we understand risk. Our team has developed our approval process from years of experience in credit lending to minimise risk to our investors. This is further enhanced by our investment in our technology platform to bring simplicity and transparency to our clients. Transacting loans is easy; ensuring they are completed quickly and easily for our borrowers and investors is what we are about. We focus on making the right credit decisions based on significant due diligence for each and every loan. All our loans are secured by mortgages against the underlying property and loan to value ratio is capped to minimise risk to our investors. We aspire to be the leading marketplace lender in mortgage securities in Australia. We give borrowers a fast and fair choice while providing investors with an excellent, risk assessed, accessible investment opportunity. We know that a broad mix of investors is vital to maintaining a secure investment environment that delivers returns to investors and ensures funding for our borrowers. Wholesale investors who invest in loans across our investment platform. Selecting the loans they want to participate, these investors build their own portfolios of property secured loans. 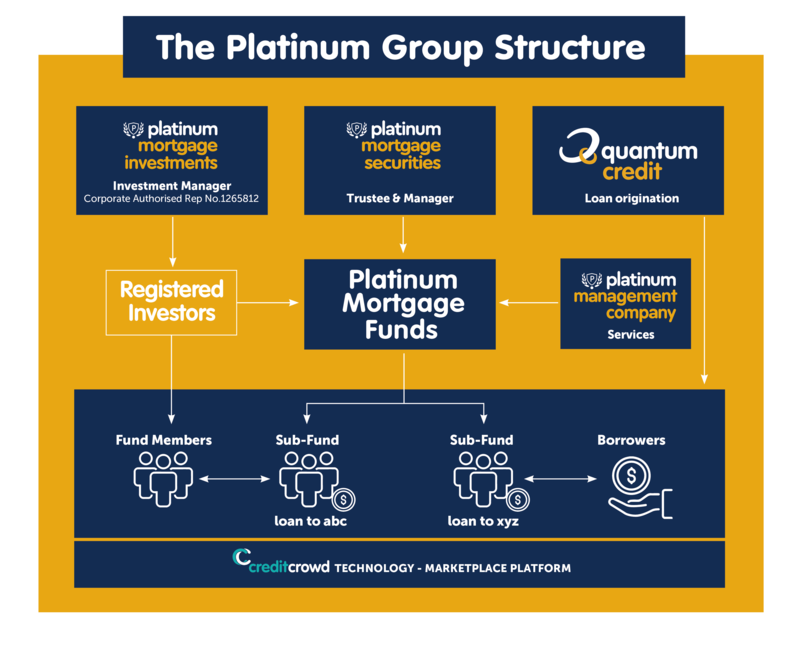 Warehouse funding – lines of credit managed by Platinum Mortgage Securities to fund investment loans. These generally come financial institutions and investment management groups. Richard is the founder of Platinum Mortgage Securities and Quantum Credit. As a financier, Richard has negotiated and settled hundreds of construction, business and investment loans. He is a hands-on Director involved in all matters affecting the Fund including credit, finance and treasury. After qualifying as a Chartered Accountant, Richard spent 6 years with Deloitte & Touche in Johannesburg and London and then 10 years as a founding partner of Watermans Chartered Accountants, where he had a primary focus on business consulting and development. 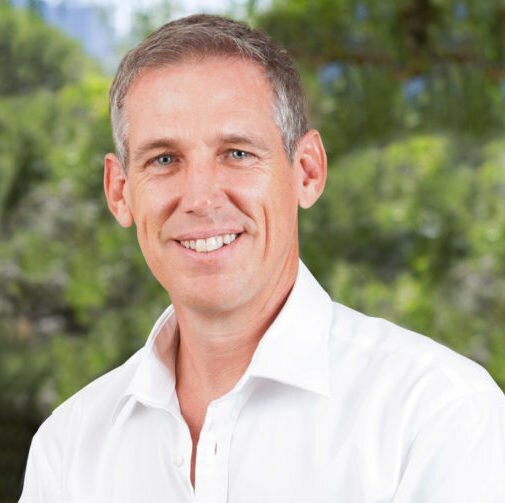 Richard’s previous board/committee positions include Director of various public companies and past Vice President of the Chamber of Commerce and Industry, Midrand and Treasurer of Rotary South Africa. 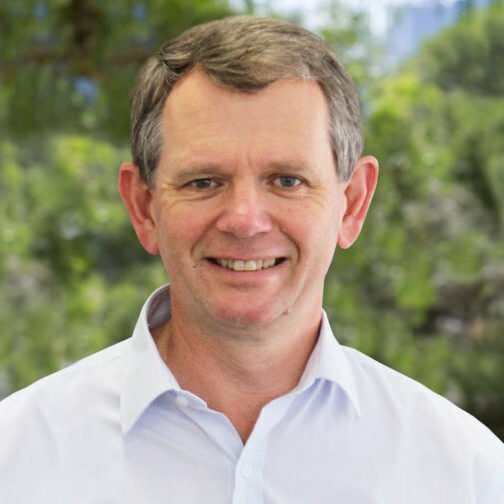 Richard is a licensed CPA (Australia) and also holds an Advanced Diploma in International Taxation and Offshore Financial Centres, and a Certificate IV in Finance and Mortgage Broking. Richard is a Responsible Manager of Platinum Mortgage Securities. Marius joined the Quantum Credit Group in 2004 and is a Director of Quantum Credit and Platinum Mortgage Securities. Marius has responsibility for group strategy, as well as legal, risk and compliance matters. In addition to his time spent in the mortgage lending industry, Marius brings extensive legal and financial services industry experience to the team. 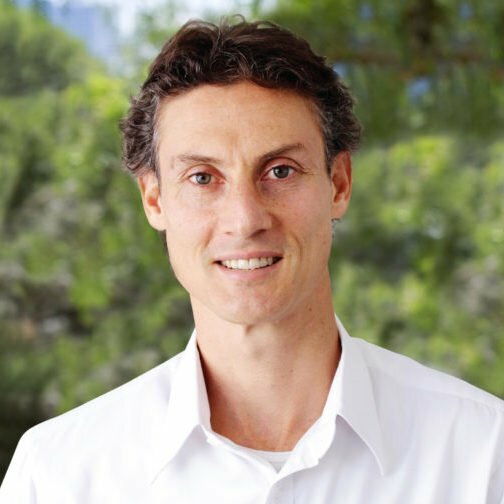 During his career, Marius has held executive positions as managing partner of a legal firm, CEO of a financial services business within a publicly listed company and various executive directorships in the financial services industry. Marius also holds a Certificate III in Mortgage Lending and is a Responsible Manager of Platinum Mortgage Securities. Rhode joined Platinum Mortgage Securities in February 2012, first as a Business Development Executive, and then moved onto his current role as the Credit and Operations Executive in 2014. Rhode is responsible for the initial credit assessment of each proposal as well as the ongoing credit control from settlement through to the repayment of the facility. Rhode holds the principal relationship with the third party professionals used by Platinum Mortgage Securities, being solicitors, valuers, quantity surveyors, builders, estate agents etc. Rhode has over 25 years’ experience in banking and property funds in South Africa, New Zealand and Australia. His background is primarily in property development funding as well as credit management. John joined the company in 2012 and more recently has been leading the development of the Group’s new distributed ledger technology platform under Credit Crowd. With a career in banking and finance spanning 25 years, John has been involved in a range of areas including private banking, structured finance, leasing and fleet management, and short-term lending. He has held several senior executive roles in large organisations including Investec Bank, Lease Plan NV and Absa Bank in South Africa. 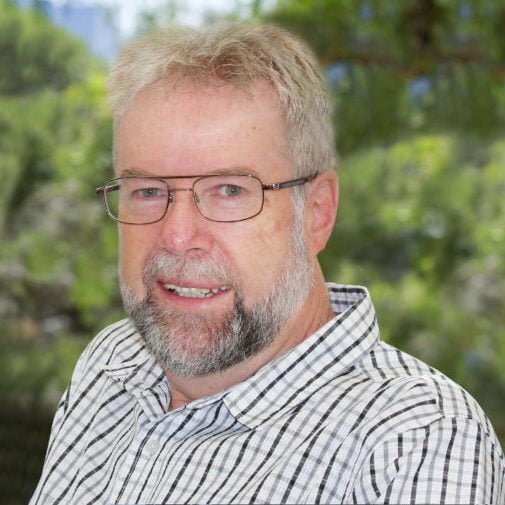 John holds a Master of Business Administration and Bachelor of Commerce Honours. He brings a wealth of experience to the business of private mortgage lending and investment, an energetic and practical approach to business operations. Jacques’ current area of responsibility is as Loans Manager with responsibility for all aspects of loan management from short-term business finance set up, through loan funding and settlement and on to loan management and collections. 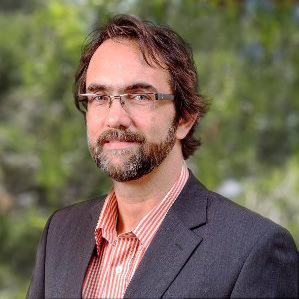 Peter has 20 years of experience in the Australian banking and business finance industry, rising to Branch Management level, and a further 20 years’ experience as a Finance Broker. He has spent the past 10 years at the helm of the Group’s finance broking entity, Total Flexi Finance. Peter brings to Platinum Mortgage Securities a vast amount of experience in residential, commercial and equipment finance. 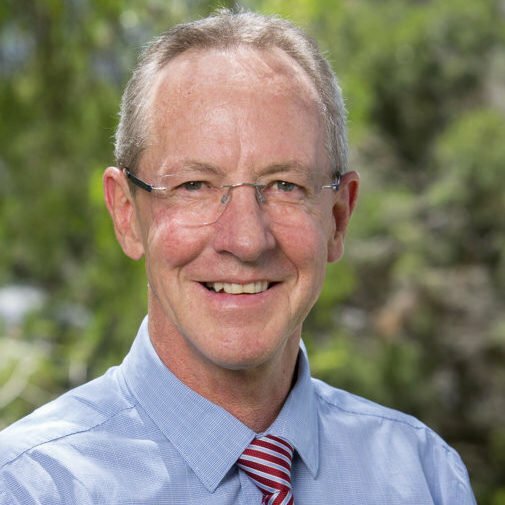 Peter is currently a Business Development Executive and is involved in all aspects of the loan sales process, from the preliminary assessment of applications for short-term business loans, through deal preparation and credit submission, to negotiation of the terms for business loans and settlement of them. Our Group operates in the private lending and investment space, offering short to medium term, property-secured finance to borrowers that require funding for business or investment purposes. Deliver attractive risk-adjusted returns and preserve the capital of investors. To achieve our business goals, we operate through the companies outlined below. Platinum Mortgage Securities Pty Ltd (AFSL. 329004) holds our Australian Financial Services License and is the Trustee and Manager of the Platinum Mortgage Fund – our select opportunity fund for wholesale investors. Platinum Management Company Pty Ltd is responsible for the day to day credit writing, property valuations and management of loans and investments. Platinum Mortgage Investments Pty Ltd is involved in investor origination and management. Credit Crowd Technology Pty Ltd is responsible for the development and maintenance of our sophisticated web-based marketplace platform. Quantum Asset Management Pty Ltd is our mortgage origination business and is responsible for our broker and borrower relationship network.